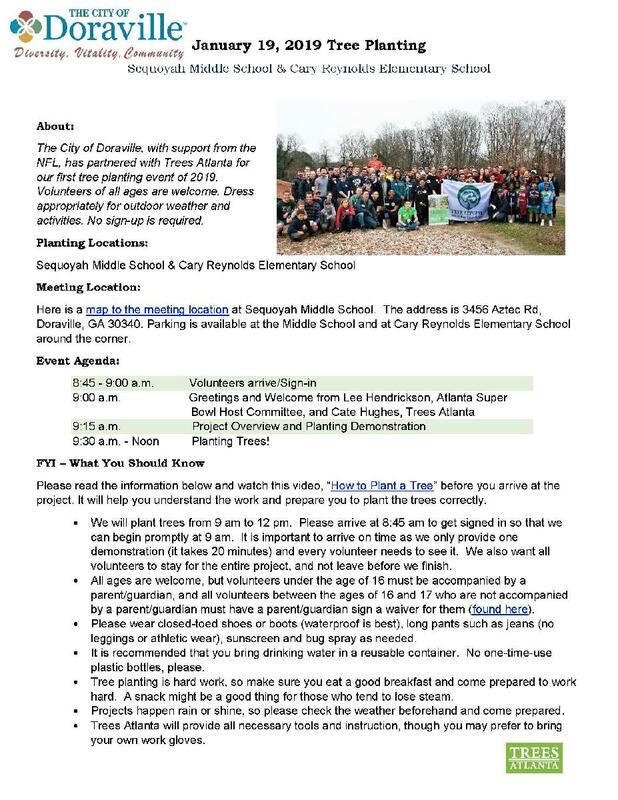 This year's first tree planting is scheduled for Saturday, January 19, 9am -12pm, at Cary Reynolds Elementary and Sequoyah Middle School (3456 Aztec Rd, Doraville, GA 30340). Volunteers should arrive at 8:45 a.m. No sign up is required. Information for volunteers can be viewed here.